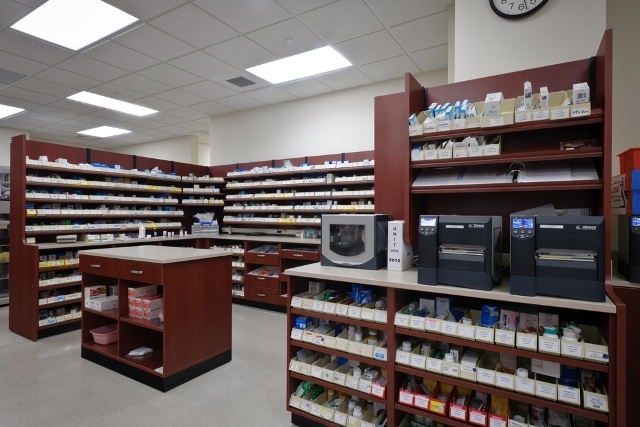 A well designed and configured pharmacy will decrease the time it takes to fill patient prescriptions and give you more time to spend on direct patient care. 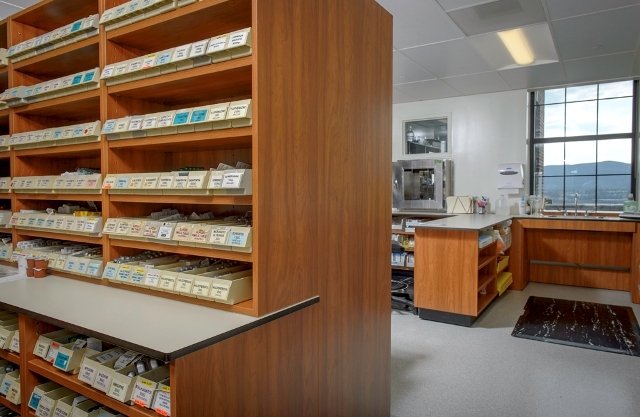 Pharmacy Casework, including our PharmStor storage cabinets, shelving, and workstations make pharmaceuticals readily accessible to enhance workflow, which allows you to operate more efficiently. 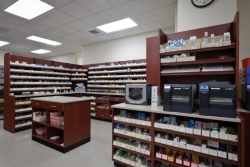 In addition all of our Pharmacy Casework is designed to be reconfigured, relocated, and reused any time your needs change, unlike built-in furniture that has to be torn down, thrown away, and re-purchased. 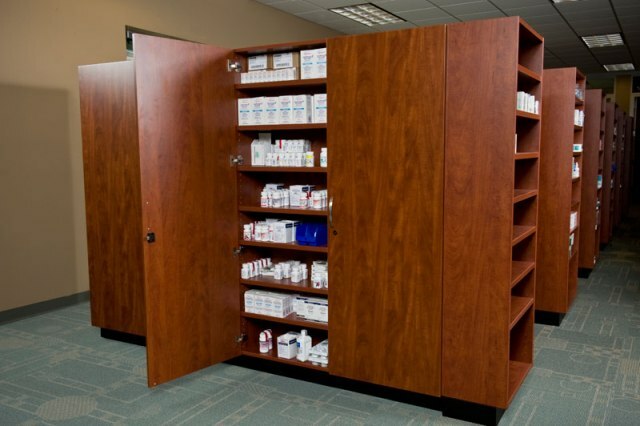 Our Pharmacy Casework and PharmStor storage cabinets, shelving, and workstations are specifically designed to meet the needs of all types of pharmacies. 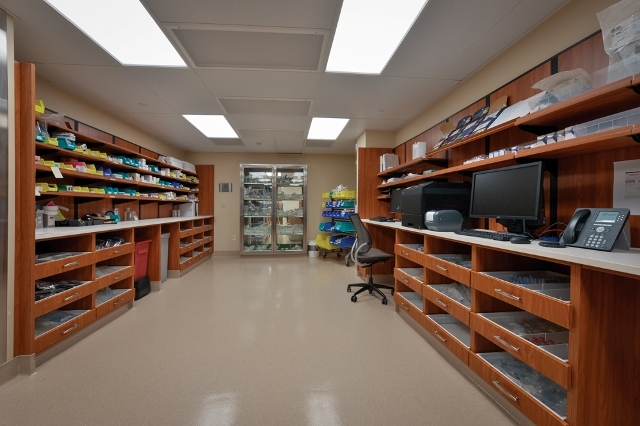 Work surfaces placed at an ergonomic height with gravity-feed drawers below and angled shelving above keeps supplies close at hand for busy staff members. 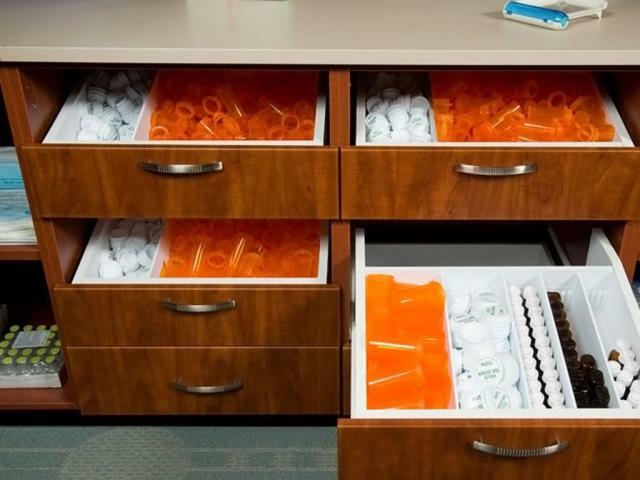 Keeping noise down is easy with soft close hardware on all drawers. 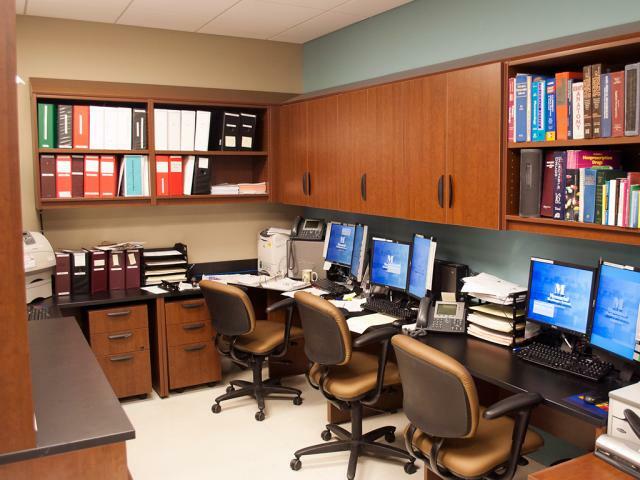 In addition workstations may look built-in but hidden wheels make them mobile so materials can be easily transferred between different areas. 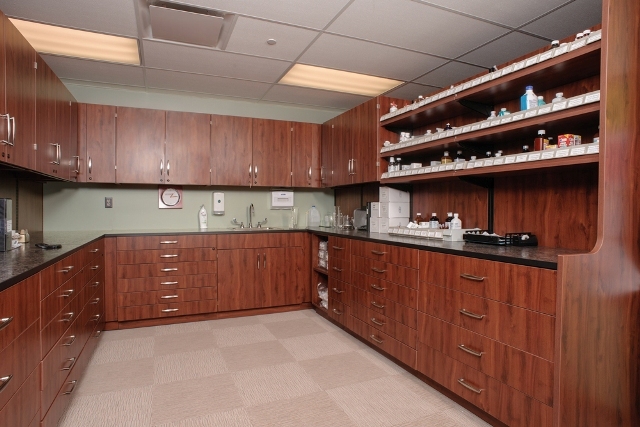 The shelving, cabinets, and workstations are made from recycled materials that are good for the environment. 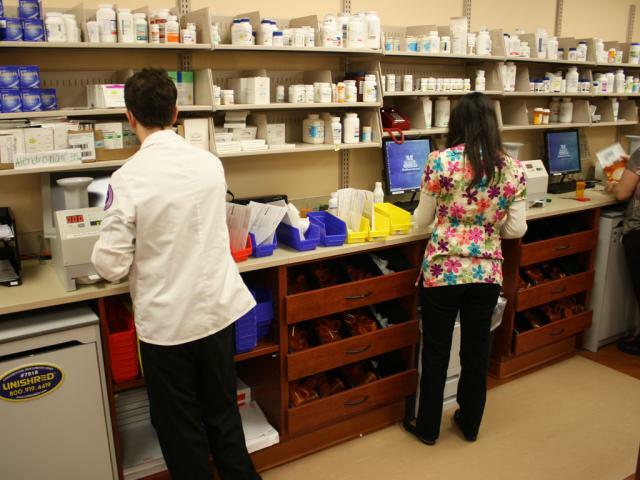 The quality of all our Pharmacy Casework is uniform and consistent. 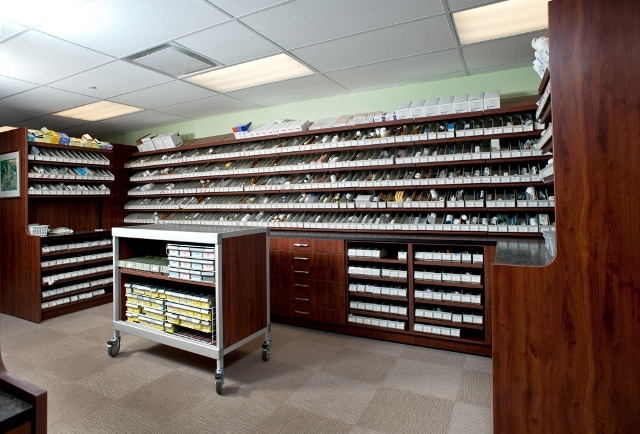 Our Pharmacy Casework can be easily relocated and reused in new locations. 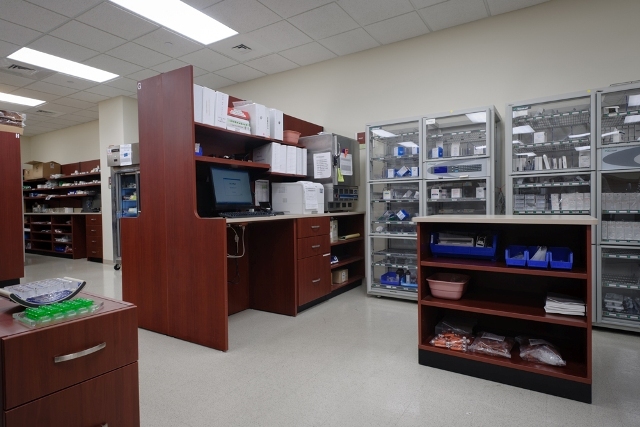 Reusing PharmStor cabinets, shelving, and workstations reduces disruptions, construction noise, dust, and contractors in your pharmacy. 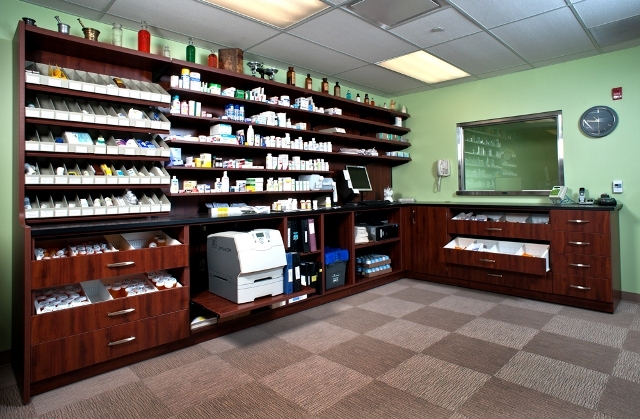 Pharmacy Casework is strong enough to stand up to daily habitual use. 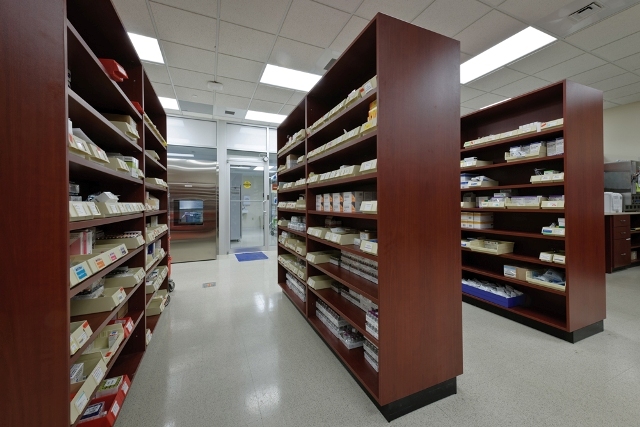 Installation times are quick because the Pharmacy Casework and PharmStor cabinets, shelving, and workstations are pre-engineered.